This embroidery is based on the bed-hangings in Morris bedroom at Kelmscott Manor and shows a similar design to the print of the same name. It is embroidered on cotton/linen and silk. 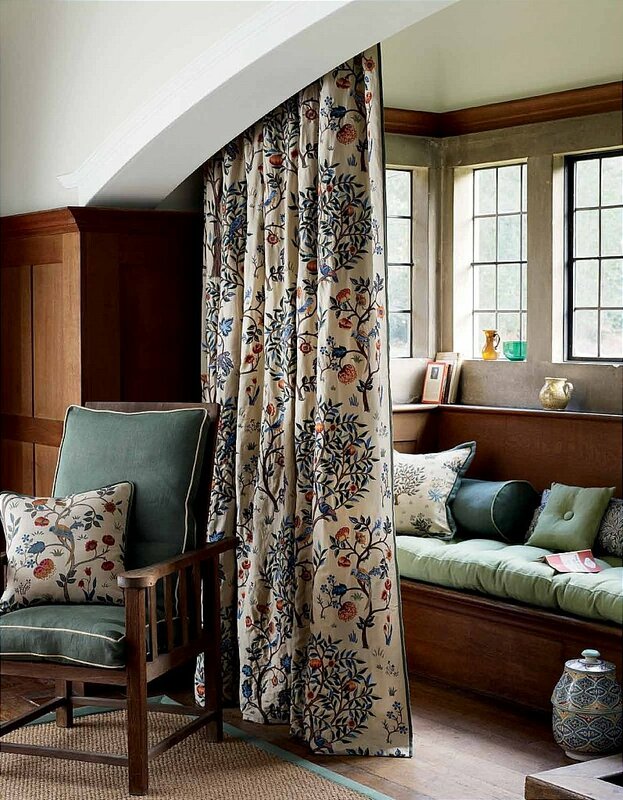 I would like more information about Kelmscott Tree Fabrics by William Morris.